One afternoon while resting at the PE staff room, I was looking this old map of Israel put up on the wall and there was the name Palestine. I was wondering why is call Palestina and not the land of Israel. So I did a recollection read up about Palestine. Below are some of the information which I recollected. Palestine (Greek: Παλαιστίνη, Palaistinē; Latin: Palaestina; Hebrew: פלשתינה Palestina; Arabic: فلسطين‎ Filasṭīn, Falasṭīn, Filisṭīn) is a conventional name, among others, used to describe the geographic region between the Mediterranean Sea and the Jordan River, and various adjoining lands. The word itself derives from “Plesheth”, a name that appears frequently in the Bible and has come into English as “Philistine”. Plesheth, (root palash) from the Hebrew perception was a general term meaning rolling or migratory. The region is also known as the Land of Israel (Hebrew: ארץ־ישראל Eretz-Yisra'el), the Holy Land and the Southern Levant, and historically has been known by other names including Canaan, Zion, Syria Palaestina, Southern Syria, Jund Filastin and Outremer. Moshe Sharon writes that when the Arabs took over Greater Syria in the 7th century, place names that were in use by the Byzantine administration before them, generally continued to be used. Hence, he traces the emergence of the Arabic form Filastin to this adoption, with Arabic inflection, of Roman and Hebrew (Semitic) names. Jacob Lassner and Selwyn Ilan Troen offer a different view, writing that Jund Filastin, the full name for the administrative province under the rule of the Arab caliphates, was traced by Muslim geographers back to the Philistines of the Bible. The use of the name "Palestine" in English became more common after the European renaissance. It was officially revived by the British after the fall of the Ottoman Empire and applied to the territory that was placed under The Palestine Mandate. Philistine(s) , Palestine, Philistia The Philistines are descendants of the Casluhim, who were sons of Mizraim, son of Ham, son of Noah (Genesis 10:14). As a nation, the Philistines seem to have been known as the Steamrollers. Palestine was first discovered by the arabs The term Peleset (transliterated from hieroglyphs as P-r-s-t) is found in numerous Egyptian documents referring to a neighboring people or land starting from c.1150 BCE during the Twentieth dynasty of Egypt. The first mention is thought to be in texts of the temple at Medinet Habu which record a people called the Peleset among the Sea Peoples who invaded Egypt in Ramesses III's reign. The Assyrians called the same region Palashtu or Pilistu, beginning with Adad-nirari III in the Nimrud Slab in c.800 BCE through to emperor Sargon II in his Annals approximately a century later. Neither the Egyptian or Assyrian sources provided clear regional boundaries for the term. The first clear use of the term Palestine to refer to the entire area between Phoenicia and Egypt was in 5th century BC Ancient Greece. 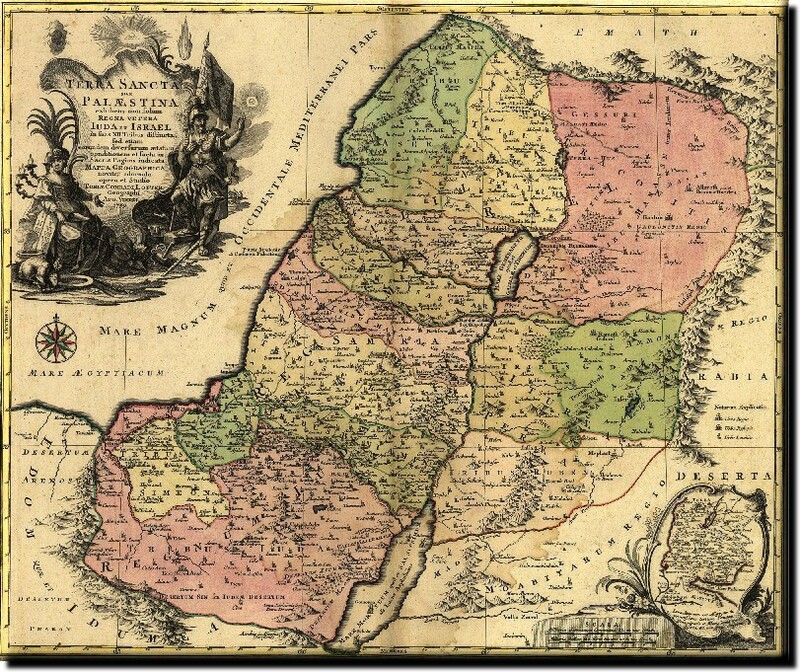 Herodotus wrote of a 'district of Syria, called Palaistinê" in The Histories, the first historical work clearly defining the region, which included the Judean mountains and the Jordan Rift Valley. The Christian Crusaders employed the word Palestine to refer to the general region of the “three Palestines.” After the fall of the crusader kingdom, Palestine was no longer an official designation. Is there such thing as "Palestinian Jew"?